Life Cell, a stem cell banking and research company, has created a landmark with 5,000 enrollments from across India and overseas in two years. A company release said here today that the strategic initiatives adopted and implemented by Life Cell have resulted in an overwhelming response for its services in the stem cell banking. Launched in November 2004, Life Cell is India's first private cord blood bank which offers services in umbilical cord stem cell banking to the country. Currently, Life Cell has 25 marketing and collection centres in Chennai, Mumbai, New Delhi, Pune, Kolkata, Hyderabad, Bangalore, Ahmedabad and various other cities. The release said the company has received a phenomenal response and recorded maximum enrolments from New Delhi and Mumbai followed by centres in South India namely-- Chennai, Bangalore and Hyderabad. Life Cell CEO Chandra Mouli said, "Life Cell provides its customers with the highest ascribed quality, innovative and most affordable cord blood stem cell banking service available in today's market.'' Life Cell has also entered into strategic association with various institutions to offer families a bio-insurance for stem cell-based therapeutic applications in future. The company has an alliance with Saneron CCEL Therapeutics for clinical trials and set to launch exclusive stem cell therapy centre in association with Sri Ramachandra Medical College & Research Institute, at Chennai for Hematological and Oncological ailments. This exclusive stem cell therapy centre would be operational by March 2007. Over 5,000 expectant parents from all corners of the country have enrolled with the company. 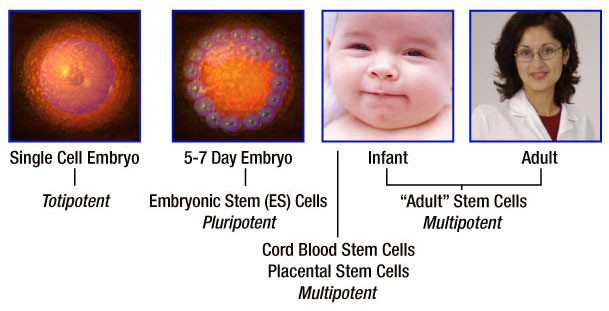 Cord blood, which is discarded after childbirth, is a rich source of stem cells. These stem cells can be harvested and preserved to be used for treating more than 75 serious ailments including neurological disorders and cardiac conditions. Life Cell offers its services for a fixed and transparent price. Cord blood, which is discarded after childbirth, is a rich source of stem cells. These stem cells can be harvested and cryo preserved to be used for treating more than 75 serious ailments including neurological disorders and cardiac conditions. Life Cell offers its services for a fixed and transparent price. The cost includes an Enrolment fee of Rs. 5000, Processing fee: Rs. 27,000 and Annual storage fee: Rs. 3,500. One can reach Life Cell on a 24 hrs Toll free no. 1800–425–5323.